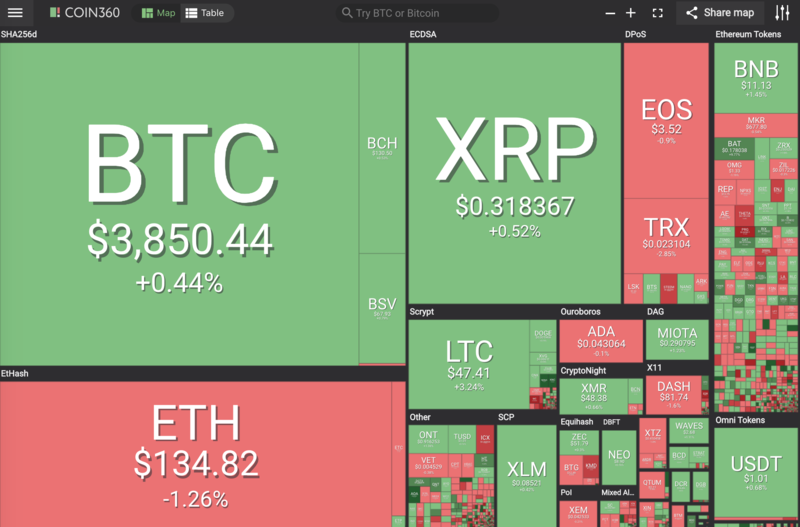 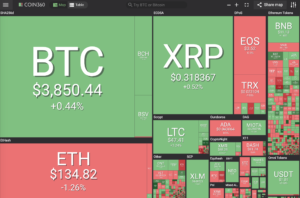 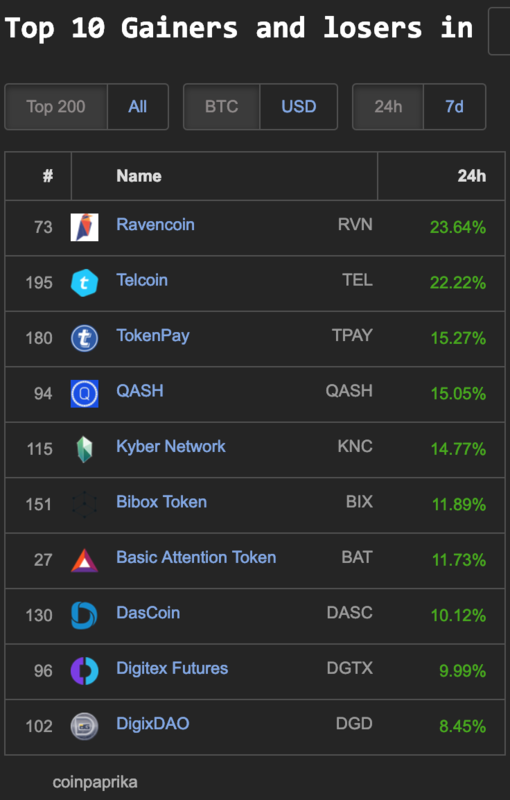 The top 100 coins of the cryptocurrency market is fairly mixed but Datum (DAT) 12% and Basic Attention Token (BAT) 11% both managed to gain double digit percentages. 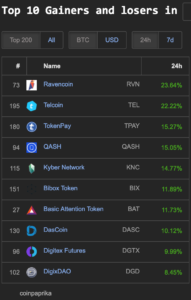 Coinpaprika.com has 8 coins with double digit gains within the top 200 market cap: Ravencoin (RVN) 23%, Telcoin (TEL) 22%, TokenPay (TPAY) 15%, QASH 15%, Kyber Network (KNC) 14%, Bibox Token (BIX) 11%, Basic Attention Token (BAT) 11% and DasCoin (DASC) 10%. 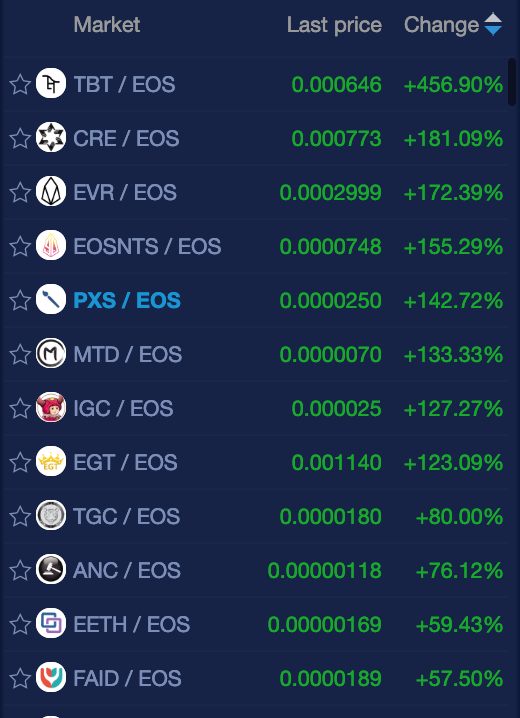 Eight coins on newdex.io gained triple digits today: TBT (456%), CRE (181%), EVR (172%), EOSNTS (155%), PXS (142%), MTD (133%), IGS (127%), and EGT (123%). 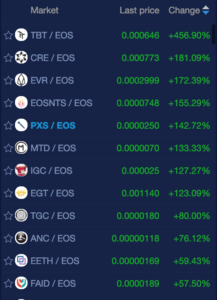 8 coins with over 100% gains are trading with EOS on NewDex.